What a fun way for children to exercise! Children will enjoy hours of jumping with this quality trampoline. 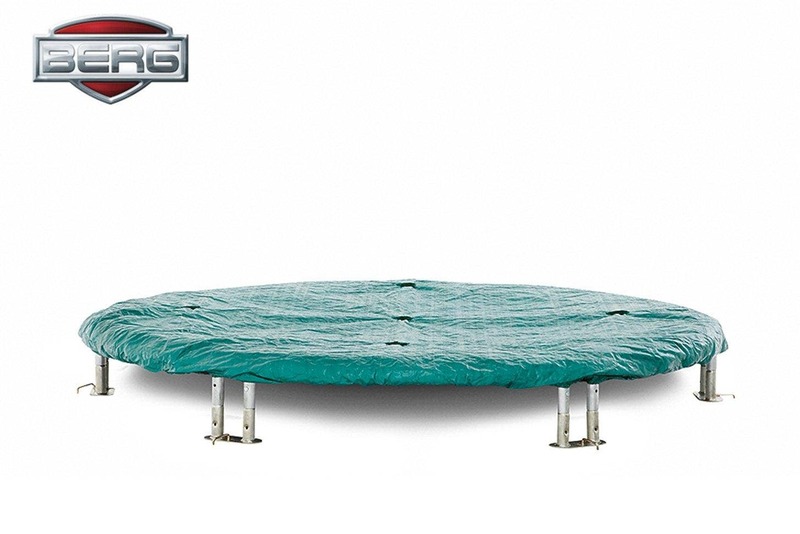 The BERG InGround Favorit trampoline provides a great solution for those who prefer their trampoline out of sight as much possible, its frame construction is only 20 centimeters from ground level! The BERG InGround Favorit offers the ideal balance between safety, durability, and price. The BERG InGround trampolines have been designed so it is not necessary to dig such a deep hole as other inground trampolines. The short legs are not sunk into the ground so will not rust like other makes. They have also included an integrated frame net to allow air to escape and prevent balls or toys etc rolling under the trampoline. This quality trampoline has a wide protective edge so that the springs are safely covered, the material is bisonyl, which guarantees years of fun and the springs are attached to the jumping mat by triangular hooks and secured by a full 8 rows of stitching. The frame is also galvanised on the inside and out to make it rustproof. The BERG Favorit range offers an ideal balance of safety, durability and affordability. They come with the GoldSpring Solo system. These springs are so flexible that both children and adults can safely and easily practice trampolining and they offer the perfect combination of flexibility and strength to give you a light and easy bounce for all day bouncing! These trampolines are excellent quality and come with some of the longest warranties on the market.